Peggy L Henderson never thought she'd be a writer, much less publish a book some day. She always wanted to be a veterinarian.Life had other plans for her. A laboratory technologist by night, and writer by day, Peggy has ten published books to her name. She has been happily married to her high school sweetheart for twenty years. Along with her husband and two sons, she makes her home in Southern California. They dream of moving to Montana some day. What inspired your short story in Rawhide 'n Roses? I never thought I’d write a short story of 2000 words. I mean, an entire story with beginning, middle, and end in less words than my average chapter lengths? Really? But, I love a good challenge, so I thought I’d give it a shot when the idea was brought up in the western romance forum on Amazon’s MOA’s for an anthology of western shorts. Coming up with a story took a while, but since I had never written a short before, I decided to stick with what was familiar, and weaved a story around my Yellowstone Romance Series and Teton Romance Trilogy. So, Yellowstone Proposal was born. The road to becoming a published author is rarely smooth, what were some of your most noteworthy bumps or potholes? My biggest mistake when I first published, was that I thought I knew how to self-edit. I had a critique partner who helped with finding problems and proof-reading, but there just is no substitute for a good editor. A couple of not-so nice reviews that pointed out the editing problems in my first book were truly a wake-up call. Being self-published, it’s always a hurdle to do everything yourself, from formatting a book, to designing a cover (it’s best to hire a cover designer), to editing (again, get a good editor), and finally hitting the publish button. Marketing a book is probably my biggest weakness and a huge hurdle to overcome in order to be seen in the endless ocean of ebooks out there. It doesn’t matter how well-written a book is – unless someone sees it, no one will read it. Writing the actual story is the easy part! Tell us a little about your latest release? 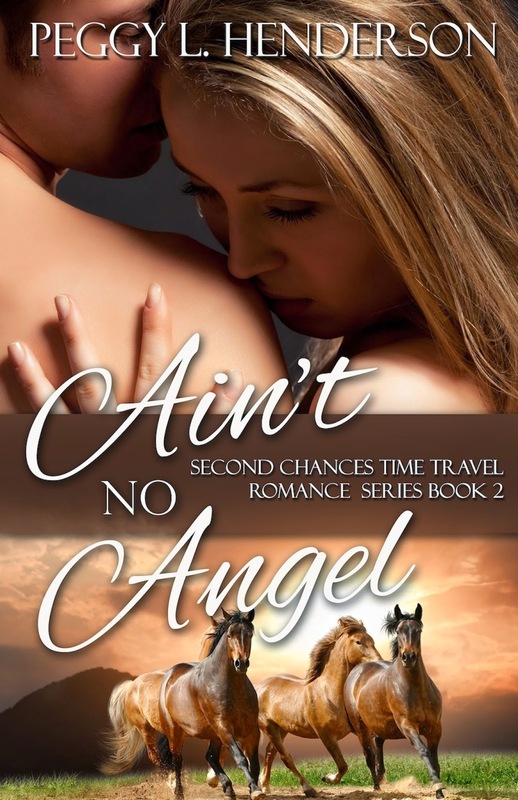 My latest release is the second book in my Second Chances Time Travel Romance Series, Ain’t No Angel, which has absolutely nothing to do with the Yellowstone Series. This series is a lot more “western” with cowboys rather than mountain men. It’s the story of a young woman who is down on her luck in life as well as love, and is offered a second chance at finding happiness, and gets sent to the past where she meets the man of her dreams. It’s always easiest to “write what you know”, and I did a lot of that with the Yellowstone Series, where I wrote about the park’s history and the ecology. For Ain’t No Angel, I decided to showcase something else that is near-and-dear to me: horses. I loved making horses a huge part in this book, and delved into a little-known piece of American history regarding these animals from the 1870’s, namely the great Equine Influenza Outbreak of 1872. 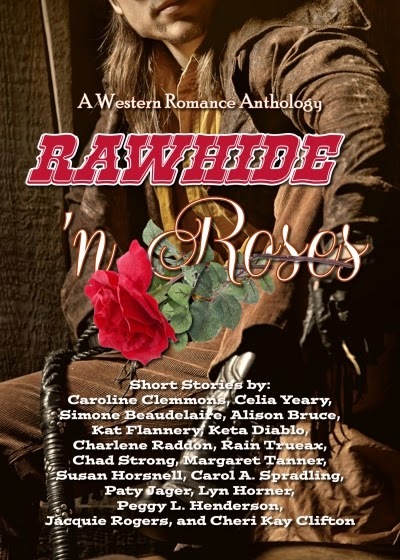 Saddle up your horses and head out to the heart of the Wild West in this collection of short love stories by authors of Western Romance from all over the country and around the world. Whether your passion is historical or contemporary, there's something inside for everyone. "I usually purchase anthologies hoping I'll enjoy half of the stories. Wow! I loved every one of these tales, most of which left me wanting more. I highly recommend this anthology to anyone who enjoys a good western! Great job, everyone!" I loved Rawhide n Roses. 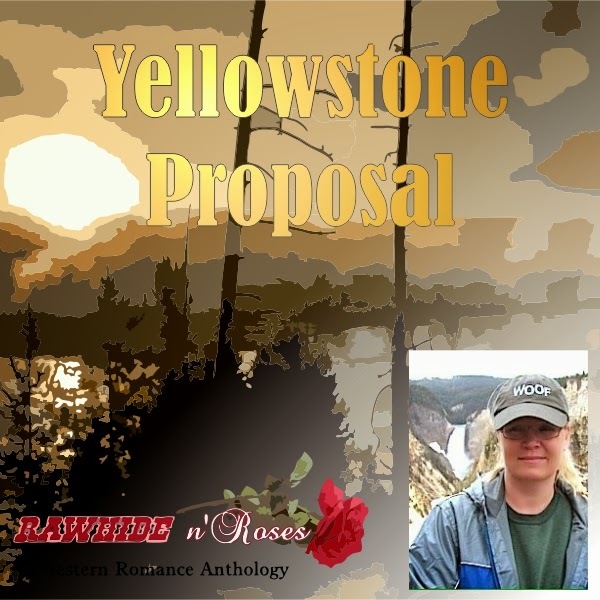 I liked Yellowstone Proposal by Peggy. I have read all her books and love the style of writing she does. Her stories take you into them as if you were living the events yourself. Peggy's first book Yellowstone Heart Song, is what made me go see Yellowstone National Park in person one summer. I also was honored to meet this wonderful author and her editor. Look forward to reading more stories in the future from this wonderful writer. Hey Shirl! Thanks for stopping by. We had such a great (but sadly much too short) visit last summer. We'll definitely have to do it again one of these days.